These little fur balls are so cute! 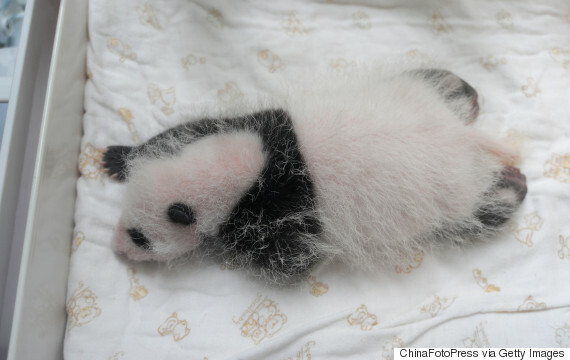 There comes a day once a week when all you want to do is look at pictures of newborn pandas. For us, it's probably every day, but since it's Friday today, we have a particularly good one. 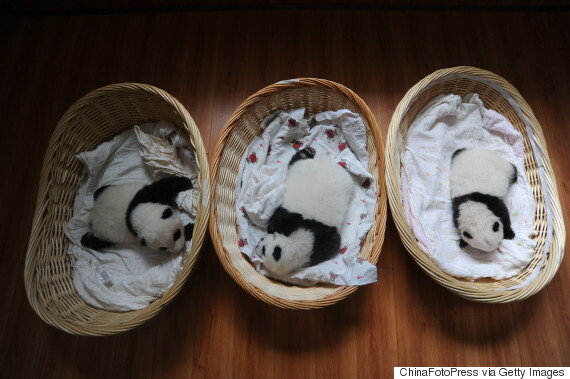 New pictures of newborn panda cubs were taken at a breeding centre in Ya'an, based in China's Sichuan province on Friday. 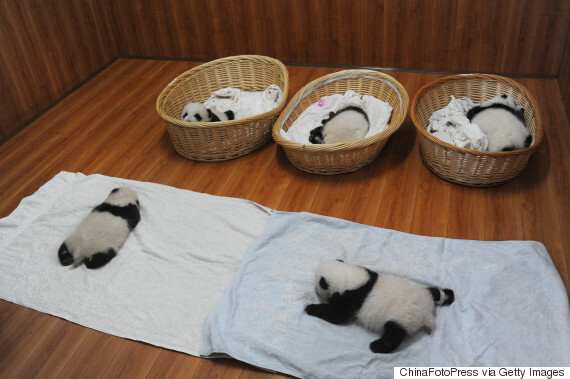 Ten cubs, yes ten cubs, were shown to the public in cute baskets and blankets. 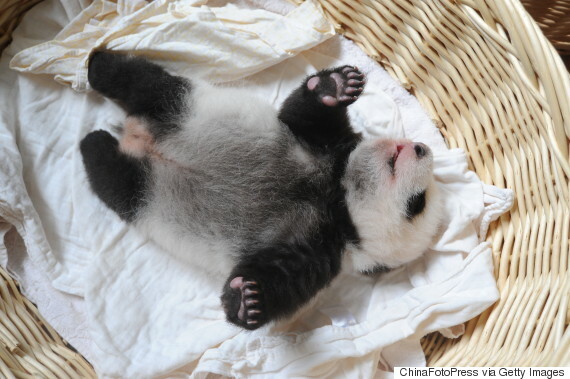 The smallest cub, according to agency ChinaFotoPress, was less than a week old. 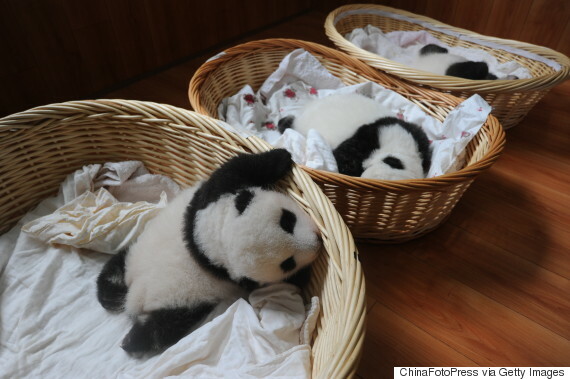 The photo agency notes, the China Conservation and Research Center for the Giant Panda has been nurturing 21 panda cubs in total. One panda has not survived.